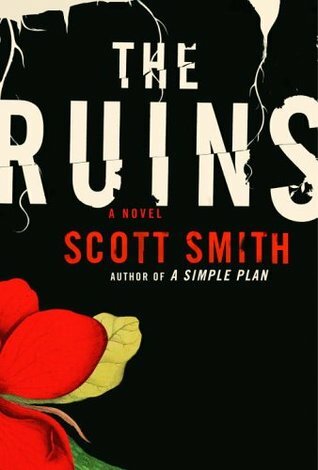 A bitter pill of arsenic is Scott Smiths’ brisk and furious The Ruins. Survival horror, suspense, psychological thriller and drama are but some of the more accurate descriptors this novel has under its belt for good reason. It is cruel, it is unkind and it has a maliciously nihilistic spirit that holds you in its claws from the first page to penultimate final moments that will no doubt make you feel like a smacked bottom. While I admittedly have never been too familiar with Smiths’ work (in fact, this was the first of his novels I have ever read) the overall premise of the story, however basic, is a clear indicator that Smith knows how to get into his readers’ minds almost effortlessly. One of our collective hubrises is our paranoia and the vulnerability that comes with it. In a controlled situation we like to think of ourselves as composed and collected, but the moment we are ripped out of our comfort zone and plonked into an increasingly escalating and alarming situation, we either just cannot cope or we become monsters of necessity. While admittedly depressing, that hardly stops you from satisfying your own curiosity at the expense of the four (seemingly) innocent college students who are on a non-stop train to hell with next to no hope in sight. Fast, ferocious and ferally compulsive reading.